AV-TEST is very well known for the antivirus analysis that it carries out. This time 20 antivirus programs have been put to the test, and all of them are versions focused on Windows 10. 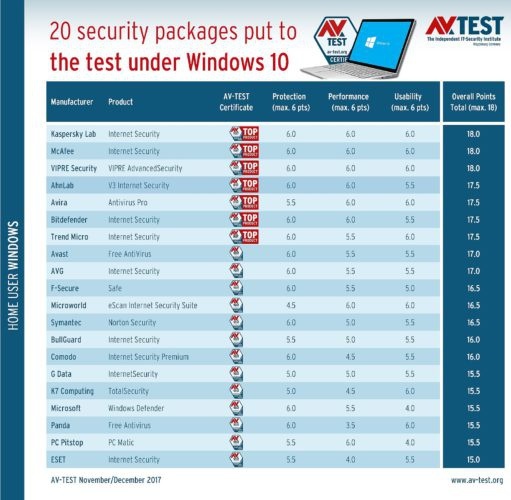 In the test in question there are seven evident winners above the rest, with only three antivirus programs that have achieved the maximum score possible in global results and in the three independent areas of protection, performance and usability. AV-TEST tests computer security solutions keeping in mind three key points. The first of them, clearly, is the level of protection that the antivirus in question offers; the second is the performance, in relation to the quantity of the resources of the installed system the antivirus uses. And lastly, the area of usability keeps in mind how easy or difficult the configuration is for the user, and the amount of adjustment options that the computer security program offers. Kaspersky Lab carries the victory along with McAfee and VIPRE Security. Their computer security solutions —Internet Security, Internet Security and VIPRE Advance Security— are the best in the sense that they received the maximum score in all of the areas, as of December of last year. Also among the best seven are those offered by AhnLab, Bitdefender and Trend Micro, with a score of 17.5 out of a possible 18. 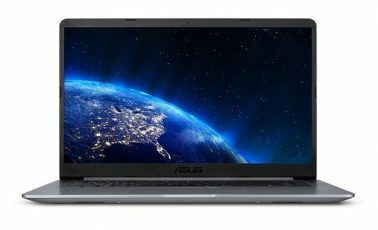 After these solutions come Avast Free Antivirus, with a very striking 17 points, which makes this option the most interesting among the free antivirus programs —leaving aside the ‘top 7’—. And AVG Internet Security also received the same score. Behind them, F-Secure Safe received half a point less; like eScan Internet Security Suite from Microworld and Norton Security by Symantec. In the complete list one can see with greater detail why the options that were just commented on received lower scores. And in that way it’s easier to choose the best antivirus related to our needs and, obviously, according to the features that each one of them offers.